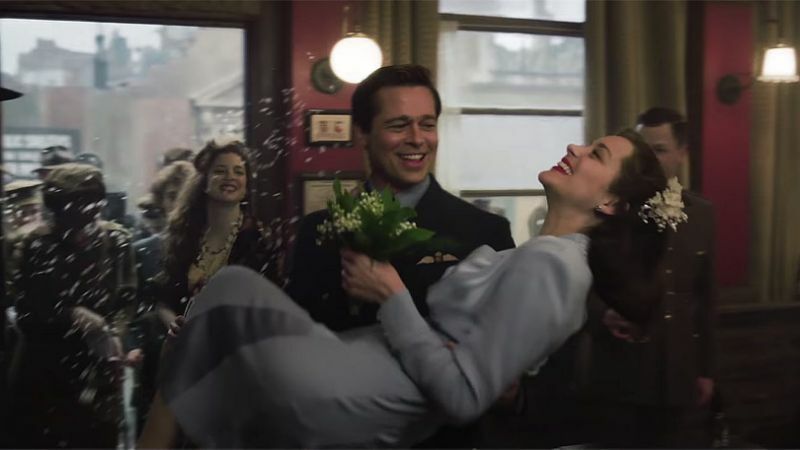 Despite what the marketing has displayed, the big revelation regarding Marion Cotillard’s character in Allied occurs almost halfway through the film. There’s plenty of palpable suspense during the first act, but knowing this information beforehand did damper any questions about the main duo surviving their initial assignment. Speaking of which, there’s an ever-present feeling of familiarity throughout the runtime. Themes of loyalty, espionage and deception are calling cards from the bygone era of classic Hollywood. Director Robert Zemeckis is clearly a fan of that period, as there are plenty of homages to everything from Hitchcock to Howard Hawks. It doesn’t break any new ground, but the fantastic craftsmanship and detail may be enough to warrant purchasing a ticket. Setting the opening act in the city of Casablanca is not simply a coincidental decision. 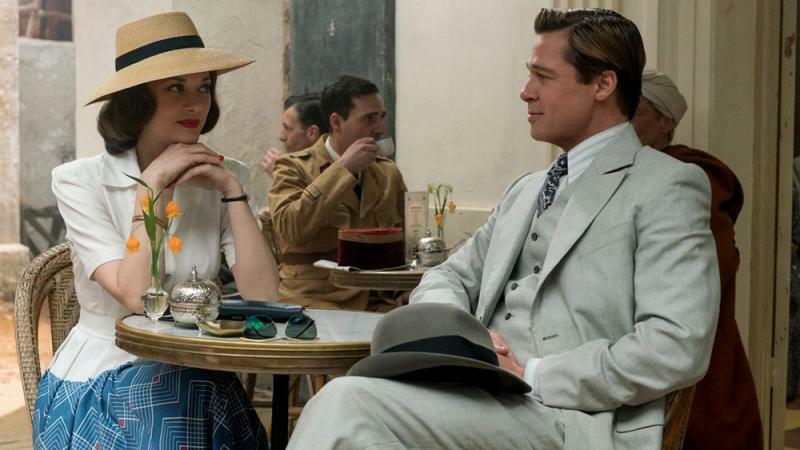 The initial meeting between Max (Brad Pitt) and Marianne (Marion Cotillard) is disguised under false pretense. They’re both spies who need to appear as a longtime couple. It’s intentionally awkward but the chemistry between the two leads never really transitions into believable love as time goes by. When Max asks Marianne for her hand in marriage, it comes out of nowhere and feels superficial. This can partially be attributed to the placement of this scene, occurring immediately following their assassination of a Nazi ambassador. It’s histrionic, but it doesn’t come close to the melodrama of their sexual encounter in the midst of a sandstorm. That particular scene’s symbolism is too blatant to be taken seriously. Zemeckis’s grandiose approach frequently clashes with the intimacy of the script’s attempted romance. The unnecessary histrionics carry over throughout the rest of the film. Whether it’s childbirth in the midst of a bombing or the overbearing score, the bombast often detracts rather than amplifies the emotion. Zemeckis does succeed at providing a sense of riveting adventure during the action sequences. Minus the gore, they are enriched with the same sort of excitement scattered throughout Back to the Future and The Walk. During those scenes, Pitt transitions into an action star, able to get in and out of danger without a scratch. When he’s told about the possibility of his wife being a German spy, his demeanor effortlessly shifts to a state of denial. When he returns to his home under the guise of regularity, any suspense is owed more to camera tricks than sexual tension. Unlike Zemeckis’s more emotionally driven films such as Cast Away, there’s not enough of a human connection to truly care about Max’s predicament. One of the biggest faults of the script is that the two leads feel too much like archetypes. They feel like subverted versions of characters the actors have already played. Cotillard, while excellent in the film, is stuck in yet another role as someone who may be more than they seem. She spends the brunt of the second act at home with their unborn child. The ambiguity regarding her true motives taking a back seat in favor of Max’s sole investigations. She doesn’t do anything that seems truly out of the ordinary. As a result, it’s hard to buy into the possibility of her true identity because she’s reduced to a housewife. Considering how much of the film solely focuses on these two characters, the methodical pacing sometimes makes their scenes together a chore. The surrounding supporting cast feels the most like Zemeckis attempting to evoke classic cinema. Both of Max’s standoffish and proper superiors could have stepped out of an English World War II film. The fighter pilots could just as easily have come from the same movie. While these aren’t a problem, they fall in line with the issue of clashing styles of contemporary and classic movies. The cinematography is absolutely gorgeous and the sets are practical but they don’t blend well with the visual effects. The gore and excessive cursing are elements one would not find during the 1940s. As a filmmaker who has always been at the forefront of visual effects, it’s puzzling as to why Zemeckis struggles to pick a consistent vision. When Zemeckis does knock it out of the park, the scenes are fairly straightforward. A simple game of high card draws far more interest and thrills than a bombing in the middle of London. As the film moves towards the conclusion, it does pick up steam, and both leads get the chance to shine. The resolution, however, could potentially make or break whether or not you enjoy the collective whole.